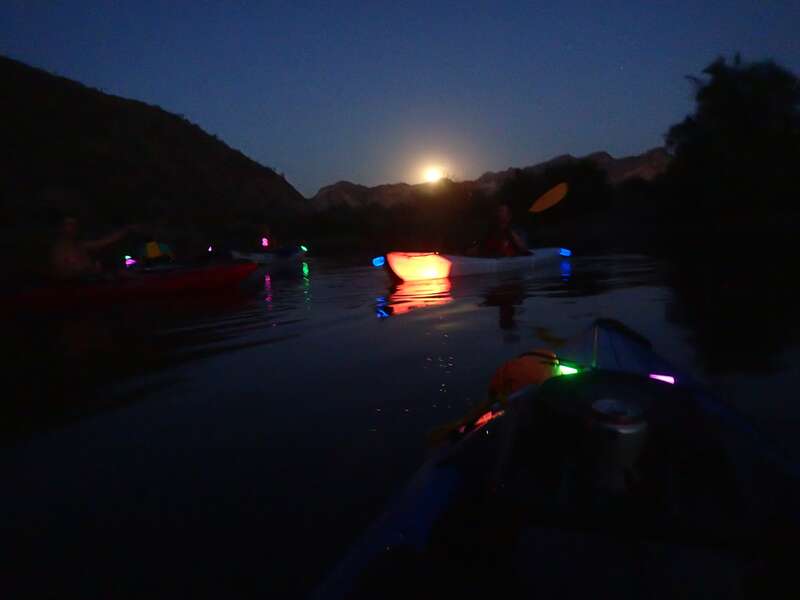 One of my favorite annual trips to lead is a moonlight paddle down the Lower Salt River east of Phoenix. 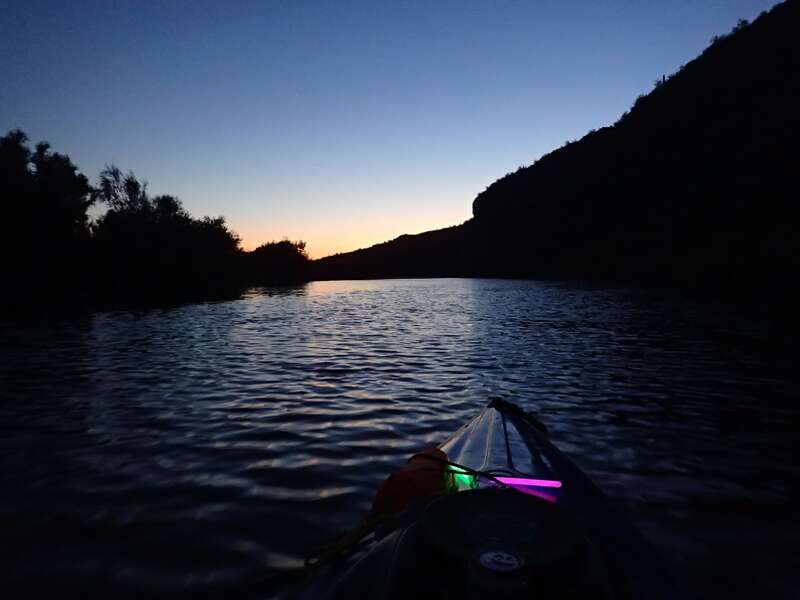 The Salt River is a great little trip either early in the morning, or long after the tubers have gone home—it’s serene, has some nice scenery, is convenient to the metro Phoenix area, and offers easy logistics. I think it’s at its best during a full moon. 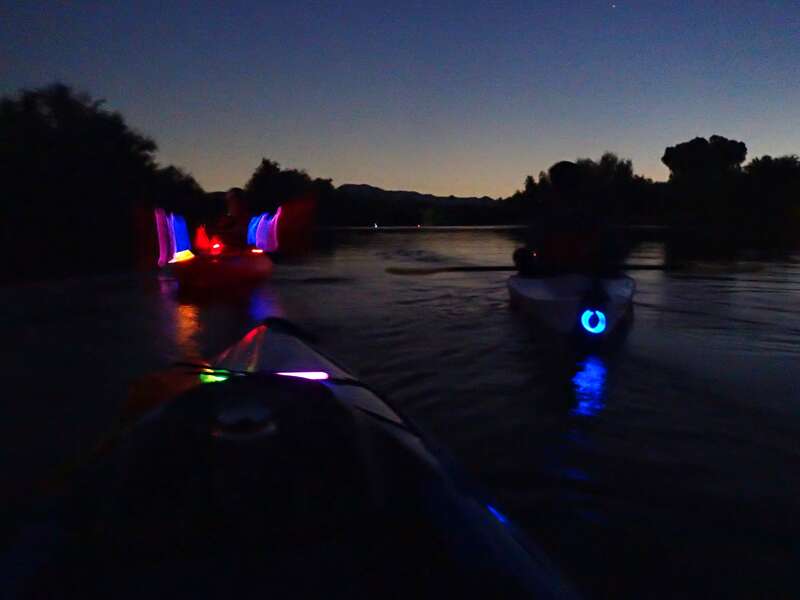 Armed with water cannons, some adult beverages, and glowstick-decorated kayaks, we met at Blue Point Picnic Area after work, unloaded our boats, and set up the car shuttle. 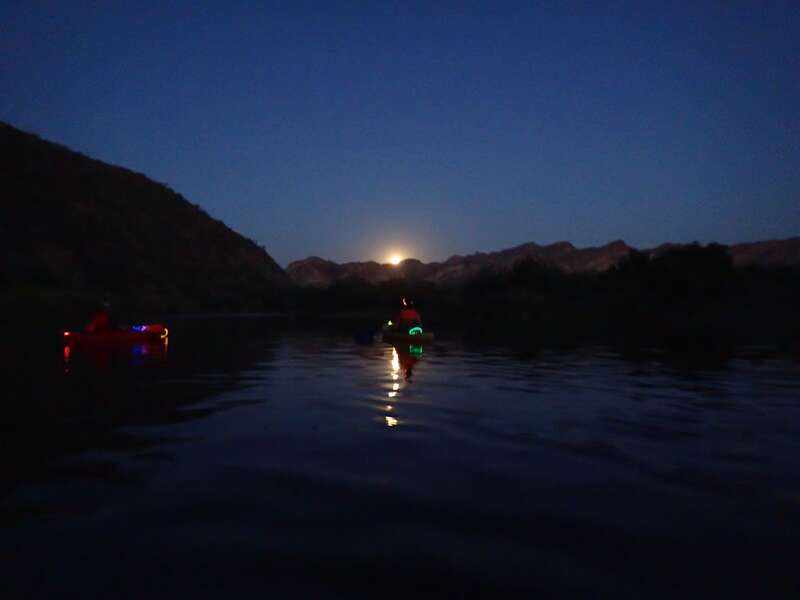 We hit the water just as the sun set and stopped to enjoy the moonrise over the mountains in the first eddy downstream. 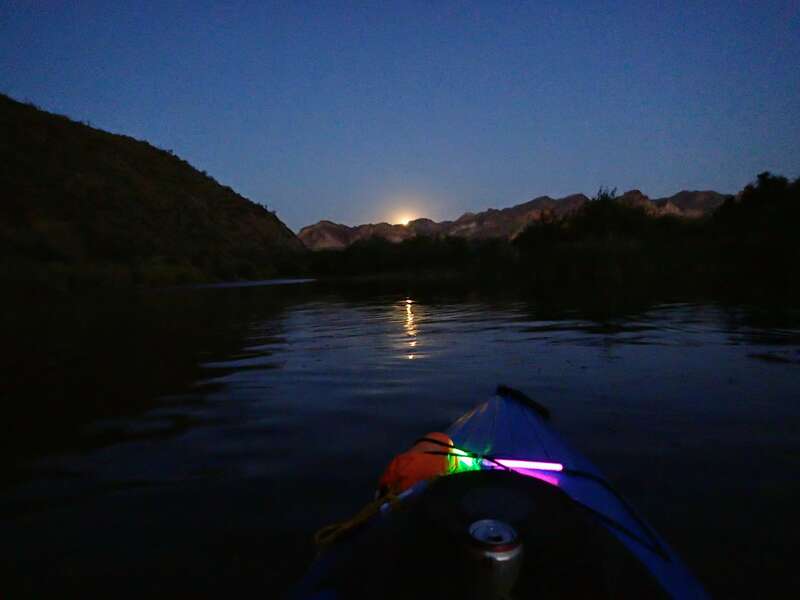 There’s something special about paddling a river with just the light of a full moon. 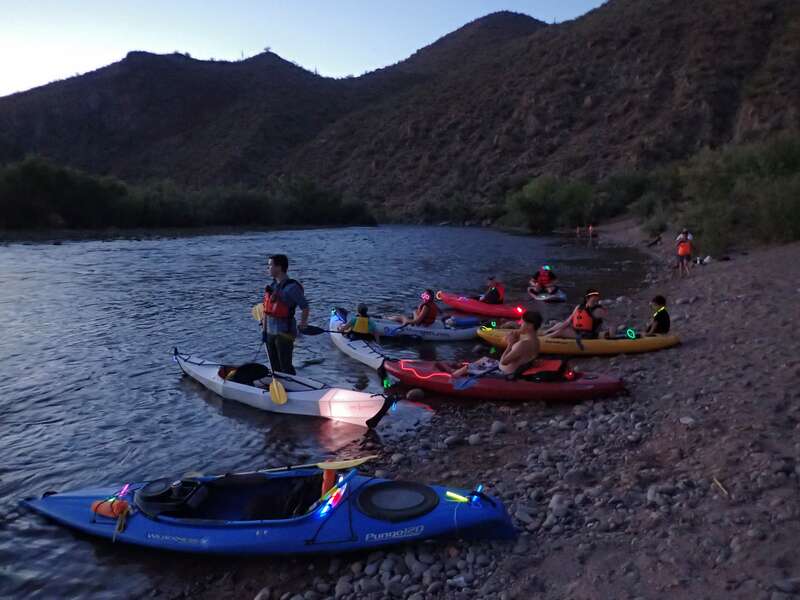 With the limited light, there’s an interesting incongruity: ripples and small rapids seem more exciting while the overall trip seems more placid. 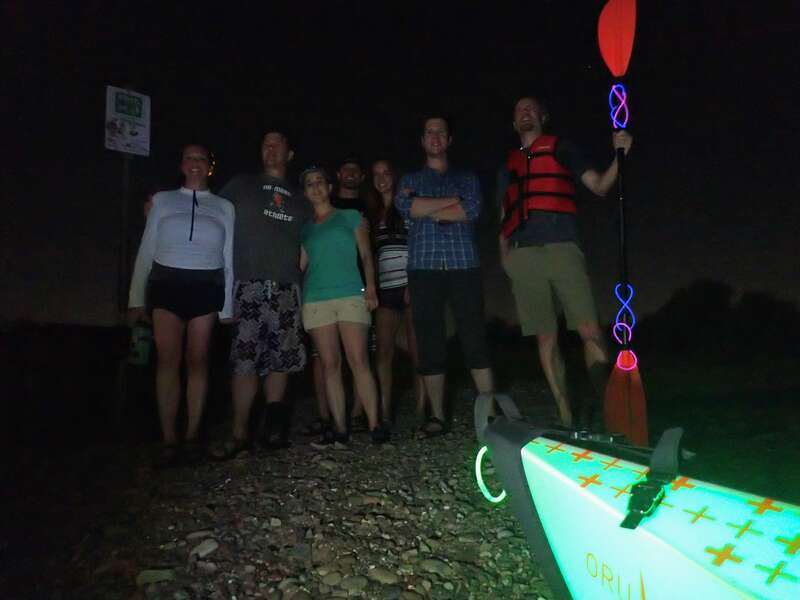 Generally speaking, our night was more float than paddle. 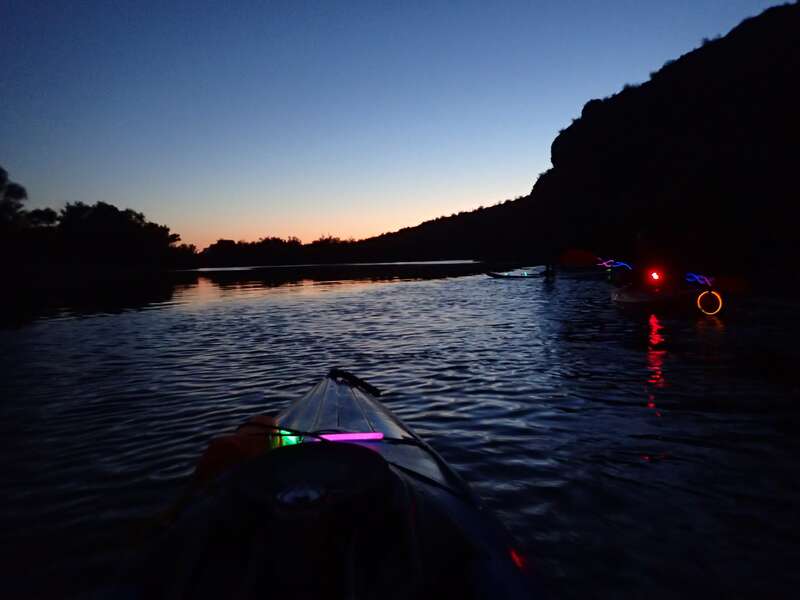 We shared beverages, enjoyed small conversations, and relaxed in the tranquility of the water. We stopped for a break and a group photo at the beach at Goldfield Ranch, joined by about a dozen feral Salt River horses. Drinking vessels sufficiently refilled, we returned to the boats and continued downstream to our take-out at Phon D Sutton Rec Area. The remainder of the trip was a continuation of the earlier enjoyable night. The water cannons got quite a bit more use, which are particularly fun when you’re not entirely sure who squirted whom. The worst part of the evening was finding ourselves at the take-out; it had arrived much sooner than everyone wanted. Clearly, we’ll need to arrange another one next month. I didn’t put much effort into taking photos. 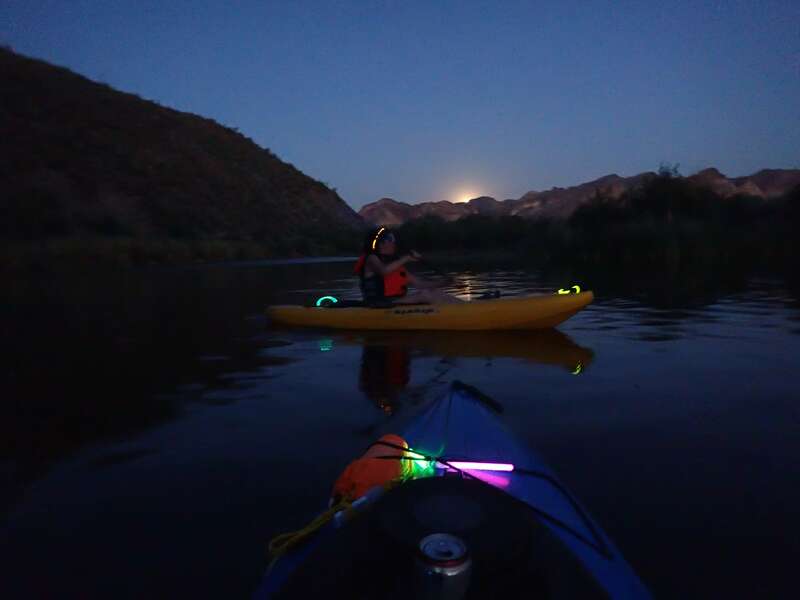 The combination of low light, the constant rocking of the kayak, and my preference for carrying a small point-and-shoot camera generally make for less-than-stellar photos. 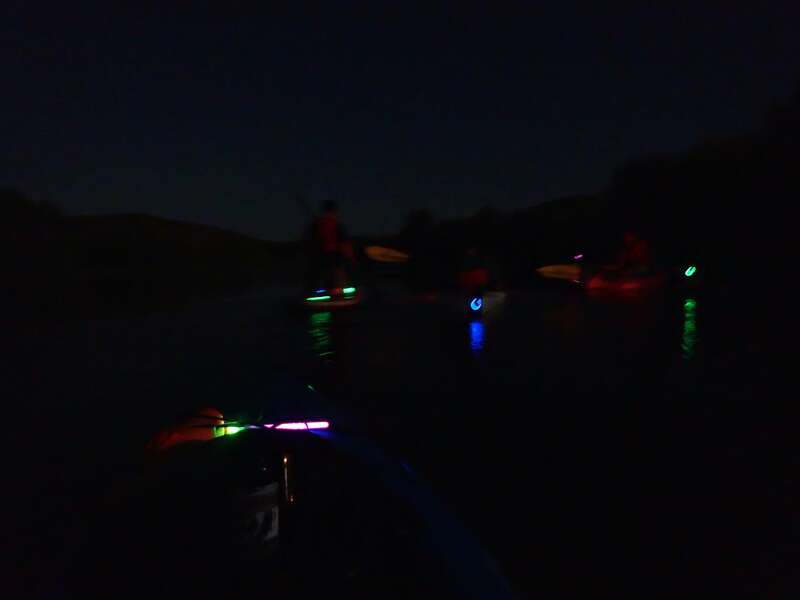 However, I post them in the hopes that they paint at least a crude picture of the evening’s moonlight adventure.